3. Display - 5.99" FHD+ display from JDI, brightness, contrast, color temperature, sRGB coverage, etc. 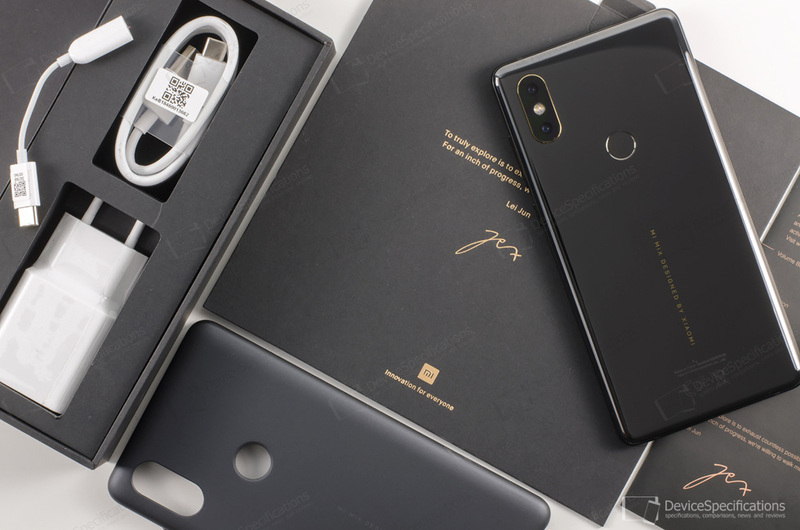 Last year, Xiaomi announced the Mi MIX 2 nine months after the Mi MIX long before the latest chipsets and the new technologies they bear to be announced. So, creating a Mi MIX smartphone that employs the most important new hardware and tech is quite a logical move. Hence, instead of announcing the Mi 7, Xiaomi went for the Mi MIX 2S. This will solidify its position in the high-end market and establishes the MIX smartphones as a real series of premium devices that always provide top-notch hardware and the latest software. It is not by chance that the Mi MIX 2S is one of the first smartphones that has a beta version for the upcoming Android P for testing. In addition, the new model continues the design paradigm set by Philippe Starck for the experimental Mi MIX and more mature Mi MIX 2, leading it to the utmost precision in a realm where design is perceived as true art. The Mi MIX 2S has already become a part of the French Pompidou Cultural Center Collection, the Munich International Design Museum Collection, and the Finnish National Design Museum Collection. This smartphone has also won a number of noteworthy design awards such as the Good Design Award, iF Design Award, IDEA Gold Award. However, smartphones are obliged to provide not only form but functionality and high-end devices are expected to provide high-end performance. So, this in-depth review will not only tackle the design of the Mi MIX 2S but will also test every aspect of this model. You can buy a Xiaomi Mi MIX 2S with 6GB RAM and 64GB ROM at a promotional price here. Xiaomi Mi MIX 2S has the same display as its previous sibling - a 5.99-inch IPS unit from Japan Display Inc. (JDI) with an FHD+ resolution (1080 x 2160). The panel has a peak brightness of 585 cd/m2 and a 1500:1 static contrast ratio. The display covers an unspecified percentage of the DCI-P3 colour gamut and is protected by a Corning Gorilla Glass 4. The body utilizes the same materials as its predecessor - matte aluminium alloy for the frame and four-sided curved glossy ceramic for the back. 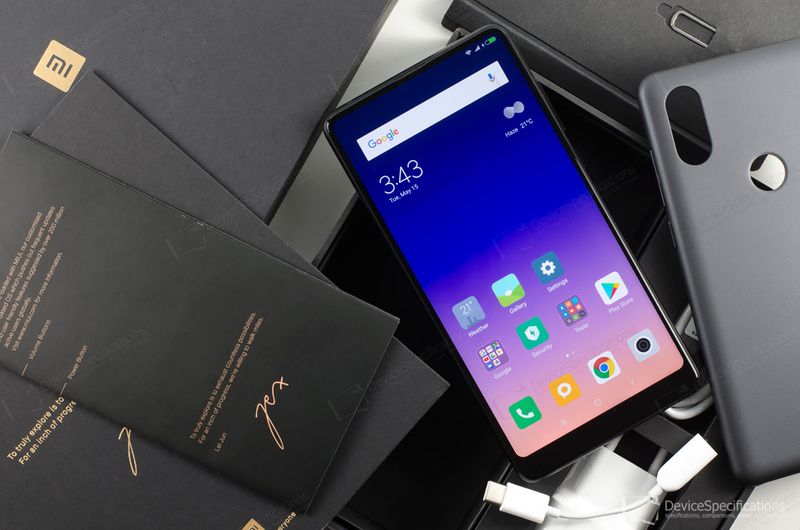 The hardware department is seriously updated as the Mi MIX 2S is based on a Qualcomm Snapdragon 845 mobile platform that introduces the AI technologies to the high-end MIX series of Xiaomi smartphones. This system-on-chip houses an octa-core Kryo 385 CPU with four 2.8GHz cores and four 1.8GHz cores. The graphics department is managed by a 710MHz Adreno 630 GPU. These are complemented by a dual-14 bit Spectra 280 ISP with support for 4K video recording at 60fps, a Hexagon 685 DSP, and a Snapdragon X20 LTE modem. There are 6GB/8GB of LPDDR4X RAM clocked at 1866MHz paired with 64GB/128GB/256GB of UFS 2.1 storage. The camera department includes a dual rear setup that includes the brand-new 12MP Sony IMX363 sensor for the main camera plus an f/1.8 lens and a 12MP Samsung S5K3M3+ sensor for the telephoto camera with an f/2.4 lens. The main shooter is aided by a 4-axis optical image stabilization and Dual Pixel phase detection AF. The front camera is the same as the one on the Mi MIX 2 featuring a 5MP OmniVision OV5675 sensor and an f/2.0 lens. The device is powered by a 3400 mAh battery paired with a 5V/2.5A~9V/2A~12V/1.5A fast charger. It supports Quick Charge 3.0 and Qi wireless charging (7.5 W). The connectivity options of Mi MIX 2S are quite extensive and include support for Bluetooth 5 with aptX HD, Wi-Fi Hotspot, Wi-Fi Direct, Wi-Fi Display, dual-band Wi-Fi a/b/g/n/ac with 2x2 MU-MiMO, NFC with Android Beam and fingerprint authorized payments, LTE Cat. 18 with 4x4 MIMO, and dual-card VoLTE HD voice. There is a USB Type-C 2.0 with OTG support and a rear-mounted fingerprint sensor from Goodix on board. The supported network bands include 2G GSM (850, 900, 1800, 1900 MHz), 2.5G CDMA (800, 1900 MHz), 3G W-CDMA (850, 900, 1700, 1900, 2100 MHz), 3G TD-SCDMA (1900,2000 MHz), 4G LTE (700 MHz Class 17, 800, 850, 900, 1700/2100, 1800, 1900, 2100, 2600 MHz), and LTE-TDD (1900, 2300, 2500, 2600, 700 MHz Class 13 (256GB), 700 MHz (B12), 800 (B18) (256GB), 800 (B19) (256GB), 1900 MHz (B25) (256GB), 850 MHz (B26) (256GB), 800 MHz (B27) (256GB), 700 MHz (B28) (256GB), 700 MHz (B29) (256GB)). The Mi MIX 2S runs on MIUI 9.5 based on Android 8.0 Oreo. At the time of this review, there's an Android P beta version for this model. Complete Xiaomi Mi MIX 2S specifications.